Adjustable sleeves for all 150 series fire dampers allow stocking of one sleeve to accommodate a multitude of damper sizes. 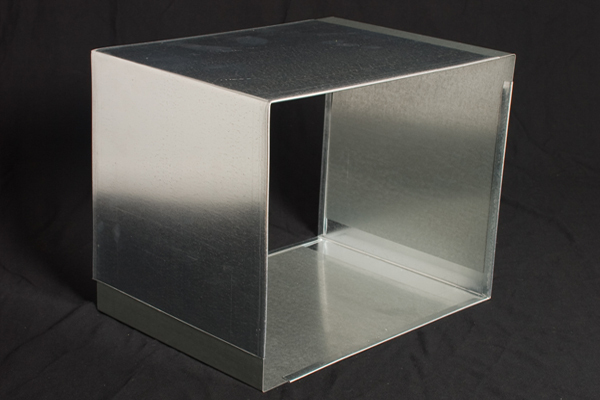 Model 8 can accommodate dampers from 8" x 8" through 12" x 12". Model 12 can accommodate dampers from 12" x 12" through 16" x 16". Model 16 can accommodate dampers from 16" x 16" through 18" x 18". Model 18 can accommodate dampers from 18" x 18" through 22" x 22". Standard configurations use 22 gauge galvanized steel in 12" lengths. Custom sizes and gauges are also available.